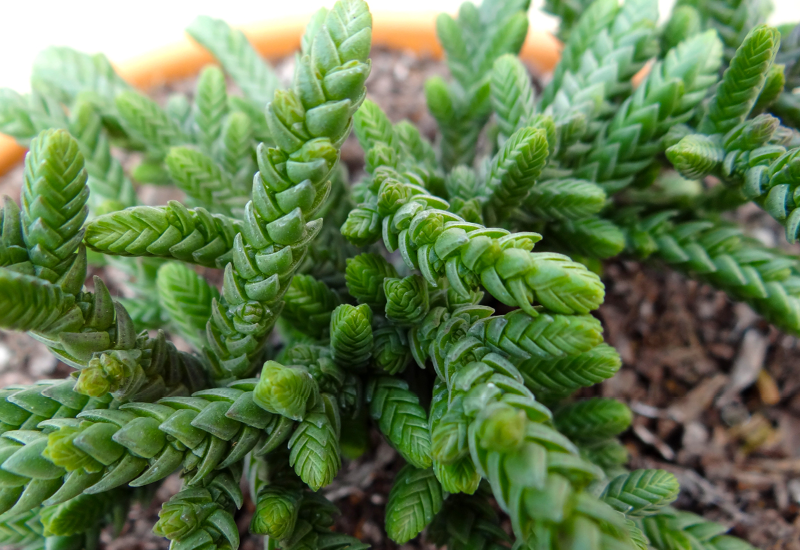 If you want to add something soft to your mixed pot plant, then Crassula Muscosa is a great choice! It has slender, feathery leaves which add the most amazing texture to your design. During spring to summer tiny star shaped will bloom down the upright stems. A great performer indoors. Make sure it’s in a bright position in a well drained mix.